For those of you who want to express your love for baking cupcakes, then express your love you can! We have just added some beautiful cupcake iron on transfers to our website. Made from the same great material the rest of our iron on delights are, the iron on cupcakes are cute enough to satisfy anybodies sweet tooth. Available in over 20 different colours, our in house designed iron on cakes will look fantastic on a baking apron, a close nit tea towel, or even on the back (the back of some novelty oven gloves. So if you know of anybody who loves baking, eating small cakes, or just has an obsession with the little delights, why not make them a beautiful gift with our iron on cup cake transfers. A special birthday like 30? 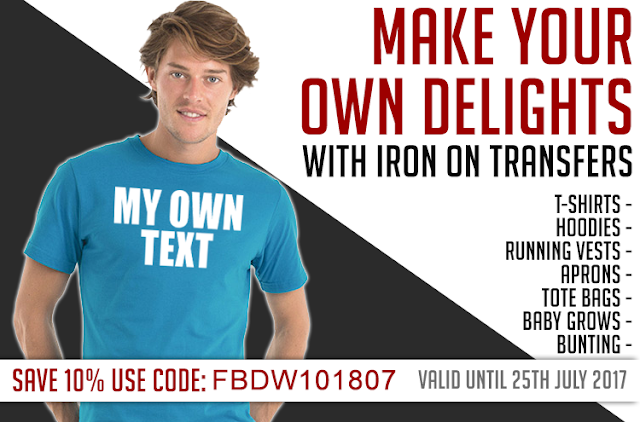 Why not make the loving baker an apron with thier special age iron onto the front?